(Excerpt from Goodreads) Regnum Vita is the story of the princess of Heartsas, a kingdom in Vita, named Prudence Fulgura. On her coronation day, 17-year-old Prudence is attacked and forced to run away. She manages to escape through a magical portal. When she opens her eyes, Prudence meets Ryan Snowangel, a young man from a city named London. 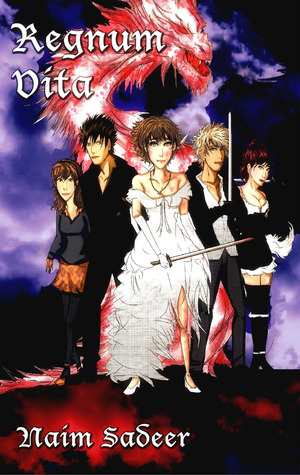 Prudence is drawn to Ryan and becomes attracted to him – but she is quickly reminded of her duties towards Heartsas. Cheryl, a half-human and half-wolf, tells Prudence that she only has until 24th December before her kingdom banishes her forever. With the help of Ryan and his friends, Prudence returns to Vita. She learns the myth of a sword with the power of an army. It is only a myth – but her only chance to free her kingdom. It is on her journey that Prudence discovers the meaning of friendship, family, loss and responsibility…but above all, love. Prudence is destined to make a choice, a terrible choice: love or duty. Will Prudence defy her and Vita’s destiny for love? Or will she sacrifice the one thing she wants, forsaking all others? Fifteen years ago Princess Prudence lost her parents when they were fighting a sorcerer leaving 2 year old Prudence to rule Vita. It was decided that a democracy would run the kingdom until Prudence was 17 years old. It is now Prudence’s day to take control of Vita but someone has other plans. To protect her, magic is used to send her to London. In London Prudence meets Ryan, his brother, and their friends. But someone is intent on keeping Prudence from ruling Vita. Trolls, a Humolf, and others are trying to kill her and prevent her from taking the throne in 10 days. This is a good story with lots of action. Prudence is very naïve since she has grown up in the castle but she picks up the things of London easily. Ryan is kind of a loner that instantly wants to help Prudence. Thankfully with the help of Ryan’s brother and their friends they are going to make sure Prudence rules Vita. This book is a little rough. Some of the conversations didn’t really flow for me. There was also the thing about a deadline. If you are told you have 10 days to do something or you will forget everything about it would you wait around until you have 3 days left? Beyond this the books was pretty good. I think if it was reviewed it would flow a lot better. This is not a bad first book. I think Naim Sadeer has lots of potential and I would be happy to read other books from him. To purchase Regnum Vita make sure to check Amazon and Goodreads. I received Regnum Vita a long time ago for free from the author in exchange for an honest review. 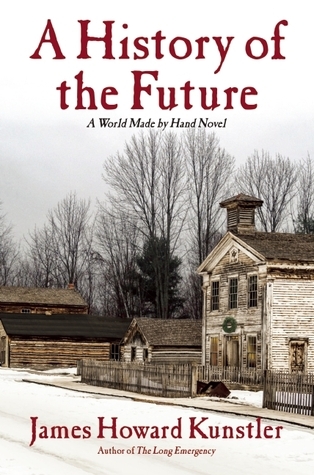 (Excerpt from Goodreads) A History of the Future is the third thrilling novel in Kunstler’s “World Made By Hand” series, an exploration of family and morality as played out in the small town of Union Grove. Following the catastrophes of the twenty-first century—the pandemics, the environmental disaster, the end of oil, the ensuing chaos—people are doing whatever they can to get by and pursuing a simpler and sometimes happier existence. In little Union Grove in upstate New York, the townspeople are preparing for Christmas. Without the consumerist shopping frenzy that dogged the holidays of the previous age, the season has become a time to focus on family and loved ones. It is a stormy Christmas Eve when Robert Earle’s son Daniel arrives back from his two years of sojourning throughout what is left of the United States. He collapses from exhaustion and illness, but as he recovers tells the story of the break-up of the nation into three uneasy independent regions and his journey into the dark heart of the New Foxfire Republic centered in Tennesee and led by the female evangelical despot, Loving Morrow. In the background, Union Grove has been shocked by the Christmas Eve double murder by a young mother, in the throes of illness, of her husband and infant son. Town magistrate Stephen Bullock is in a hanging mood. Since the fall of the country as we know it, people are doing whatever they can to survive without electricity and other advantages of pre-collapse. This story takes a look at the world and how they have survived after the collapse. It is around Christmas time and everyone is getting ready for the holiday when tragedy strikes. A young mother kills bother her husband and her son. Union Grove is going to have to find a place to lock her up. They also need to create some form of justice system to punish her for her deeds. At the same time, Robert’s son Daniel has returned after traveling around the country. He tells about the different people, territories, and events that are happening. I love apocalyptic stories and this is right along my line. I really like how the community has revived after the loss of modern conveniences. Of course with the double murder it brings another problem to light. What are they going to do with her? What kind of legal proceeding will they have? I really liked the descriptions of the rest of the country and what other areas were doing. I have not read the other books in this series but I will be adding them to my purchase list. I think this is a great view of what could happen and what some people would do to survive. This is a great book and I recommend people to check it out. To purchase A History of the Future make sure to check out Amazon, Barnes and Noble, Goodreads, and James Howard Kunstler’s website. I received A History of the Future for free a long time ago in exchange for an honest review. Well, in this book Zip’s a dog and not a cat, sorry “crazy cat lady”… in writing Reaching Angelica I wanted to have the ship be a sort of Ark, carrying people and fellow Earth creatures to a new home. But rather than have it become a menagerie, I chose only one animal to be “alive” – and the rest are either genetically ready to be “created/revived” or asleep. For the sleeping (in hibernation) animal I chose dolphins because Angelica is a planet with more than 2/3rd water and I knew they would have to land on water. For the sleeping animals, yes, cats are there and will play a role (havoc) in Tag book 3. Why havoc? Because only cats can be so imperial and determined to have their own way – all the while knowing human’s weaknesses all too well. And when you add that many of the smarter cats will have telepathic capabilites, as Simon Bank will come to learn, cats actually manipulate people without asking permission. Has anyone ever known a cat to ask permission? I grew up with 32 Siamese running around the house in Manhattan (yes, 32 at one point until homes were found for three litters). Loved them all but, honestly, the house was more theirs than ours. The postman wouldn’t come in the door because the Toms were very protective guard cats. I had a fish tank and would routinely catch them, paws in water, helping themselves to a snack! Anyway, this has little to do with the book, which I sincerely hope you and your readers enjoy. I take the concept of an Entity about as far off into left field as possible. Why? Because that’s what good Sci-Fi is supposed to do – stimulate conversation and thought into that which you cannot know – yet. Simon Bank is back. He awakens after a century long coma to find a motley crew on a ship to Alpha Centauri B. But this is no fun trip, he accidently awakened a super being and now he has to figure out the universe before the super being destroys the universe. Now it is a race against time for Peter to figure out the Path and save everyone. I really liked Reaching Angelia. Simon is such a snarky person and just makes the story. We follow Simon as he jumped in to another dimension and uses his background in coding along with the help of his friends to solve the puzzle. You can’t help cheering along as everyone is trying to help solve the puzzle in their own ways. I liked how the characters from The Path are brought back along with meeting new characters. The story started a little slow but picked up pace fast and had me staying up late wanting to know how it ends. I do recommend reading The Path first, I think the reader may be a little lost if they started with Reaching Angelica. This is a great story and I hope to see more from Peter Riva in the future. To purchase Reaching Angelica make sure to visit Amazon, Barnes and Noble, Goodreads, or Peter Riva’s website. 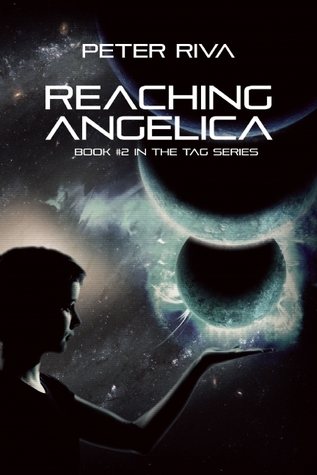 I received Reaching Angelica for free from the author in exchange for an honest review. 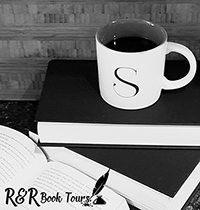 I would like to thank iRead Book Tours for the opportunity to be part of the tour. To purchase the first book in this series make sure to visit Amazon, Barnes and Noble, and Goodreads.